The essays collected in this volume present a broad survey of the state of the art in logistics systems research as viewed by a distinguished group of scholars. 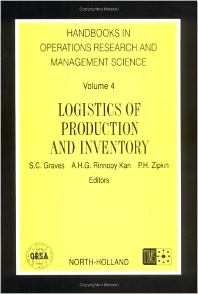 The book shows that logistics remains an active, vibrant subject of inquiry. There are several reasons for this continued development. Firstly, logistic systems are extremely complex with many inherent technical problems and fundamentally new approaches to the subject are frequently arising. Secondly, the practical world of logistics has changed markedly over the past few decades, posing significant new challenges to researchers. This volume focuses mainly on the key developments in the last decade, which has witnessed an astonishing leap in our understanding of what logistics is all about.